April Cigar & Wine Event! 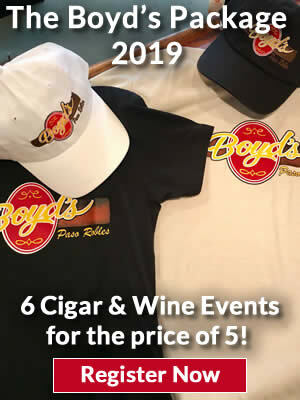 Join us for our April Cigar & Wine Event featuring the lineup of Partagas cigars, along with some very special VINTAGE & RARE Partagas cigars from the Boyd’s vault. 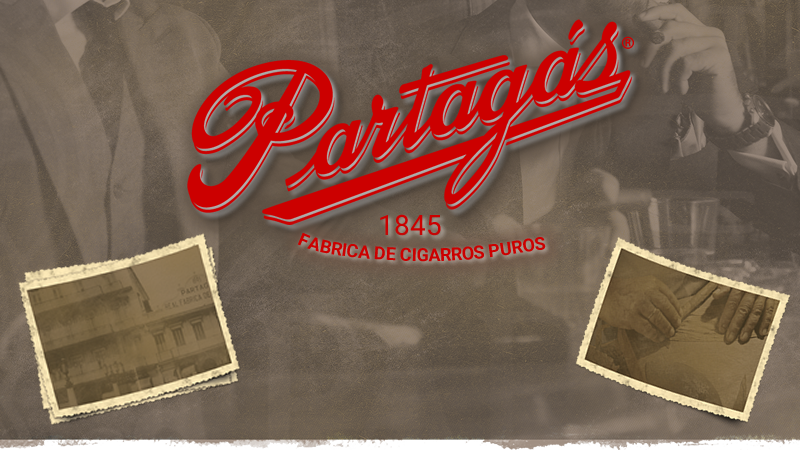 We will have special discounts on all Partags cigars plus a presentation by Tim Arnold from General Cigar. Also on Thursday 4/25 Brochelle Vineyards will be providing a wine tasting, we will have snacks & a BBQ dinner along with a not-to-be-missed raffle that includes a Callaway Travel Gold Bag plus much more. You don't want to miss this event! $20 per person. FREE FOR LOUNGE MEMBERS. Boyd’s events & specials delivered to your inbox! *Must be 18 years of age or older to enter Boyd’s Tobacco & Elegant Gifts. **Must be 21 years of age or older to enter Boyd’s Tobacco & Elegant Gifts Lounge. Warning: Cigars contain many of the same carcinogens found in cigarettes, and cigars are not a safe substitute for smoking cigarettes. This product contains chemicals known to the State of California to cause cancer and birth defects and other reproductive harm.